Description CARFAX 1-Owner. $900 below NADA Retail! 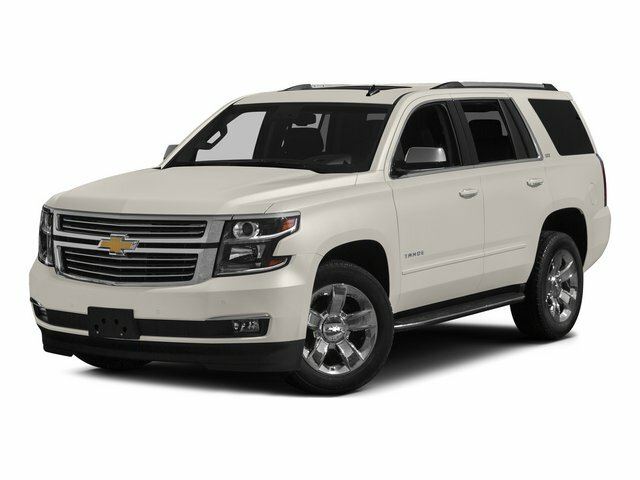 Moonroof, Heated Leather Seats, Third Row Seat, Hitch, Rear Air, Running Boards, 4x4, Aluminum Wheels, TRANSMISSION, 4-SPEED AUTOMATIC, ELEC... ENGINE, VORTEC 5300 V8 SFI FLEX-FUEL, SUNROOF, POWER, TILT-SLIDING, ELECTRI... WHEELS, 4-17" X 7.5" (43.2 CM X 19.1.. WHEELS, 4-17" X 7.5" (43.2 CM X 19.1 CM) 5-SPOKE ALUMINUM CLICK NOW! CARFAX 1-Owner This Tahoe is priced $900 below NADA Retail. Third Row Seat, Leather Seats, 4x4, Rear Air, Heated Driver Seat, Running Boards, Premium Sound System, Satellite Radio, Trailer Hitch, Dual Zone A/C, Seat Memory, Heated Seats, Heated Leather Seats. Rear Seat Audio Controls, Multi-CD Changer, Privacy Glass, Keyless Entry, Heated Mirrors. SAFE AND SECURE PACKAGE includes (UE1) OnStar, (UK3) Steering wheel, mounted controls, (AJ7) Air bags, side-impact and (JL4) StabiliTrak, SUNROOF, POWER, TILT-SLIDING, ELECTRIC WITH EXPRESS-OPEN AND WIND DEFLECTOR (Includes universal transmitter. ), WHEELS, 4-17" X 7.5" (43.2 CM X 19.1 CM) 5-SPOKE ALUMINUM includes 16" x 6.5" (40.6 cm x 16.5 cm) steel spare (Includes (QAN) Tires, P265/70R17, all-season, blackwall or upgradeable to (QAS) Tires, P265/70R17, all-season, white outlined-letter. ), TRANSMISSION, 4-SPEED AUTOMATIC, ELECTRONICALLY CONTROLLED WITH OVERDRIVE AND TOW/HAUL MODE (STD), ENGINE, VORTEC 5300 V8 SFI FLEX-FUEL capable of running on unleaded or up to 85% ethanol (295 HP [219.7 kW] @ 5200 rpm, 330 lb.-ft. [445.5 N-m] @ 4000 rpm) (STD). Chevrolet LT with BLACK/SILVER BIRCHBLACK exterior and TAN INTERIOR TRIM interior features a 8 Cylinder Engine with 295 HP at 5200 RPM*.